4k00:14Close up young business woman typing on laptop keyboard while lying on white bed. 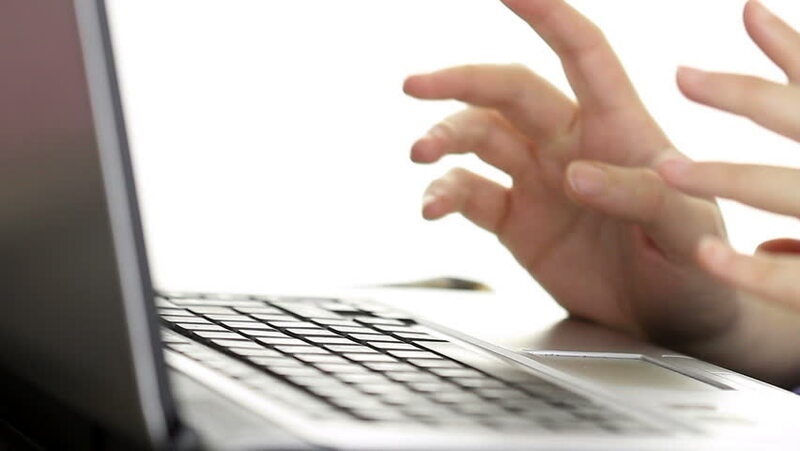 Female freelance blogger hands busy typing on computer to writing content to web blogs for internet marketing. hd00:12Close up hand of business man type on computer keyboard. 4k00:08Child's hands over computer keyboard. hd00:20Focus slowly movement of hands typing. Asian business woman working on white computer keyboard. Online education learning from home. Student programmer hands touching on desktop device.